Wooden A-type stand suitable for both indoor and outside usage (A1-size; 70 cm x 105 cm). Wooden blackboard (60 cm x 80 cm). 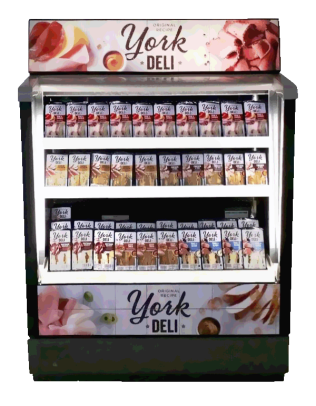 Plastic tray with front, side & rear walls for displaying sandwiches & baguettes on generic refrigerator shelves with front label slot for calling attention to individual products and/or prices (standard size 28 cm x 40 cm x 7 cm; custom sizes available upon request).